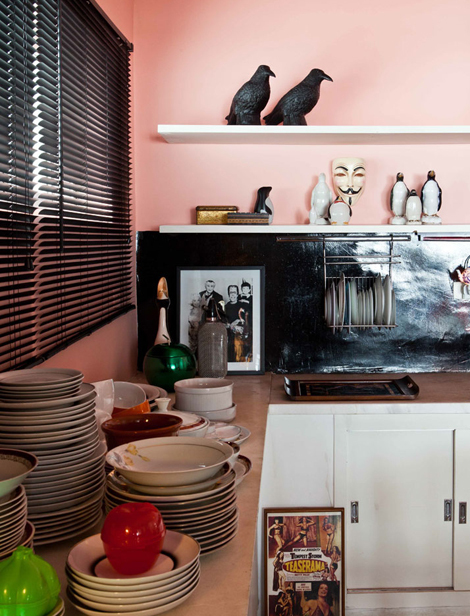 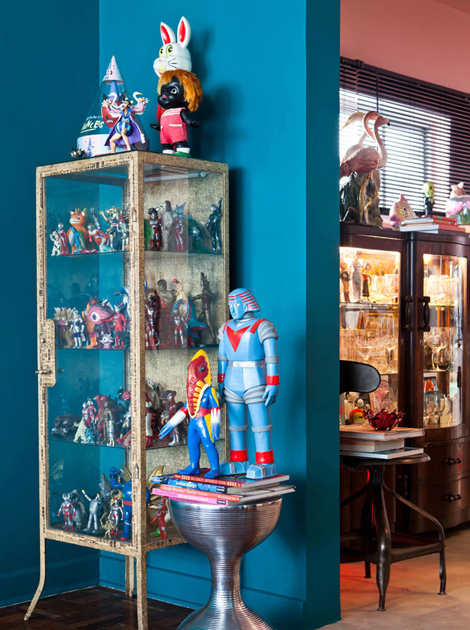 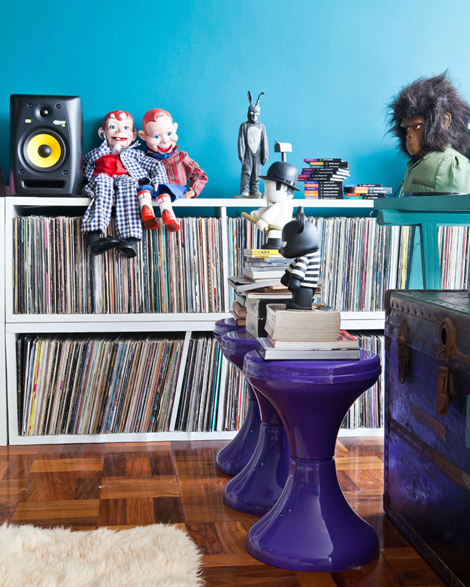 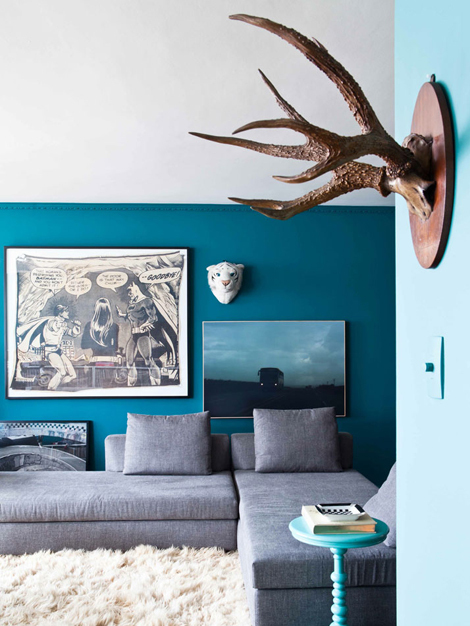 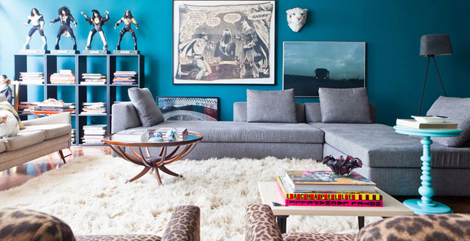 An explotion in turquoise and eclectic furniture in this apartment of DJ Pil Marquest, living in São Paulo. 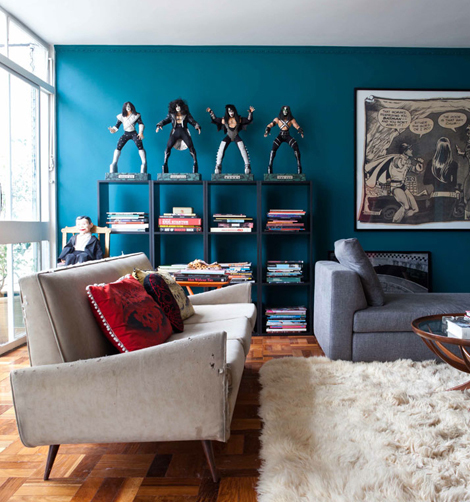 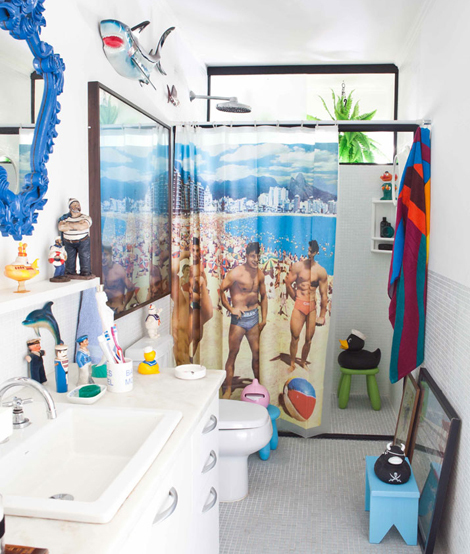 Brazilian architect Guilherme Torres and his colleagues were asked to decorate the house of Brazilian DJ and collector Pil Marques in São Paulo, Brazil. 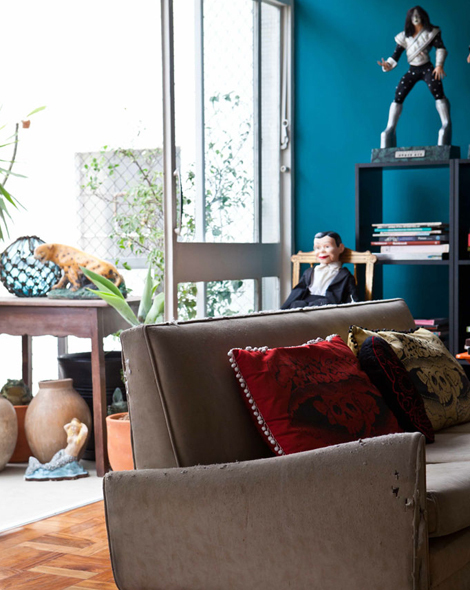 They initially thought it would be easy to help him organize his various collections and adapt the apartment to the likes and taste of his flat mates, artist Daniel Zanardi and DJ Adriana Recchi. 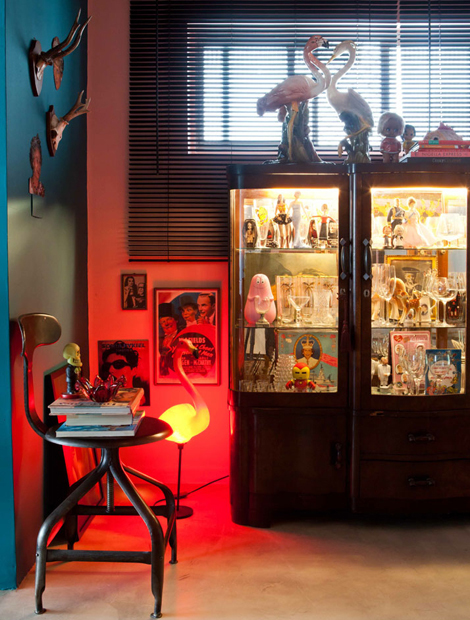 Info/pictures: Apostolos Mitsios at Yatzer. 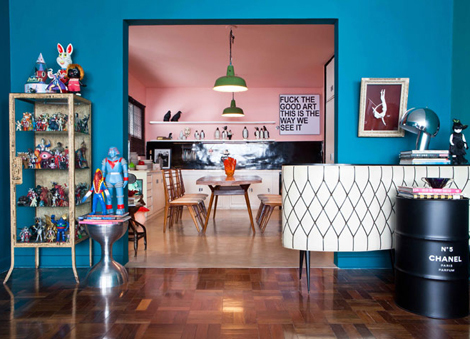 Architects Studio Guilherme Torres.